Guillermo Arduino has left the CNN International weather team for a full-time anchor position at sister network CNN en Español. Arduino has been tapped to anchor Mirador Mundial, a 60 minute weekend news bulletin. He will continue to host CNN en Español's technology news show Clix, and will still be a presence on CNN International as he retains hosting duties of the monthly World View and iReport for CNN. Arduino, a 12 year veteran at CNN International, was farewelled following his final weather hit on World Report Thursday. As a result of Guillermo Arduino's departure from the international weather team, Jennifer Delgado moves from overnight weather duties to dayside. Watch World Report anchor Rosemary Church offering Jennifer Delgado a fine send-off from the graveyard shift at the close of Friday's bulletin in the video below. CNN Domestic will kick off 2012 with two new programs debuting January 2. "Early Start" with Ashleigh Banfield & Zoraida Sambolin will air 5:00am to 7:00am (eastern) weekdays and "Starting Point" with Soledad O'Brien will air 7:00am to 9:00am (eastern) weekdays. CNN unveiled Twitter accounts for both shows on Thursday. You can follow @earlystartCNN and @startingptCNN for the latest from the show producers and hosts. CNN has also released a video introducing new recruits Banfield & Sambolin. Watch the trailer from CNN below. CNN yesterday released their coverage plans for the January 3 Iowa caucuses. Details in CNN's press release below. On Jan. 3, the night of the Iowa caucuses, CNN anchors Wolf Blitzer, Anderson Cooper, Erin Burnett, Candy Crowley and John King will lead CNN’s election night coverage from 7 p.m.-midnight from the CNN Election Center and live from Iowa. Chief political analyst Gloria Borger, senior political analyst David Gergen, along with political contributors James Carville, Ari Fleischer, Dana Loesch and Roland Martin, will be on hand to offer expert analysis. Piers Morgan will broadcast a special edition of Piers Morgan Tonight at midnight. The day kicks off with Soledad O’Brien in her new time slot, reporting and anchoring from Des Moines, Iowa from 7-9 a.m. and Ashleigh Banfield and Zoraida Sambolin anchoring from the CNN Election Center from 5-7 a.m. Leading up to and through caucus night, chief political correspondent Candy Crowley will anchor and report from Iowa beginning Dec. 28 through Jan. 3. In addition, State of the Union with Candy Crowley will originate live from Des Moines on Jan. 1 at 9 a.m./noon, ET. On Sunday, Jan. 1, CNN will kick off the network’s “America’s Choice 2012” coverage with a prime-time special Countdown to Iowa: Final 48 Hours with Blitzer anchoring live from the Election Center. The two-hour political special will air at 8 p.m. and replay at 11 p.m. In addition, CNN will launch The Contenders 2012 series on Saturday, Dec. 31 from 2 p.m. to 6 p.m. and Sunday, Jan. 1 from 2 p.m. to 5 p.m. The distinctive coverage, anchored by Crowley live from Iowa, will give viewers a chance to learn more about the 2012 GOP presidential candidates by capturing unedited, uninterrupted remarks from campaign events throughout the weekend. CNN will have more reporters on the ground in Iowa this year than in past Republican primary elections. On the ground in Iowa will be national political correspondent Jim Acosta, senior political correspondent Joe Johns, senior congressional correspondent Dana Bash, chief White House correspondent Jessica Yellin and CNN Radio Capitol Hill correspondent Lisa Desjardins. In addition, reporting from Iowa will be CNN senior political analyst Ron Brownstein, along with CNN political contributors Paul Begala, Donna Brazile, Alex Castellanos, Erick Erickson, David Frum and Mary Matalin. CNN reporters who have been embedded in key, early voting states for the past several months including political reporter Shannon Travis, political producers Shawna Shepherd and Rachel Streitfeld and CNN’s political reporter-at-large Peter Hamby will all be in Iowa playing a role in caucus night coverage. On caucus night, Tuesday, Jan. 3, CNN will unveil a brand new Election Center studio, complete with new technology and data visualization capabilities. Anchor and chief national correspondent John King will utilize new features on CNN’s Magic Wall to explore the incoming results more in-depth than in the past. CNN will also utilize dual-screen technology to examine demographics and to track how voters cast their votes via CNN’s entrance polls. In addition, the network will aggregate social media conversations, by using #CNNElections, and display users’ sentiments about particular candidates or issues in real time. Online on the day of the Iowa caucuses, CNNPolitics.com will host real-time reports from the network’s political correspondents and anchors on the ground in Iowa and the region throughout the weeks leading up to the voting there. On caucus night, CNN.com will live stream the events in Iowa. Users will also be able to track results by county as they come in at the CNN Election Center and through the CNN Apps for iPad, iPhone and Android. Also launching in time for the Iowa caucus is the CNN GOP Delegate Calculator. After each caucus or primary, users can submit their best guesses for which presidential candidates will win each state and compare their predictions to those of the CNN political experts. CNN iReport, the network’s global participatory news community, will be asking for submissions related to the Iowa caucus, some of which will be shown across CNN.com and broadcast on CNN. CNN en Español will offer extensive coverage of the Jan. 3 Iowa Caucuses with correspondent Ione Molinares reporting live from Iowa throughout the day. Starting at 7 p.m., Washington D.C. anchor Juan Carlos López will host a special edition of Directo USA and will be joined by a panel of political contributors Maria Cardona, Juan Hernandez and Roberto Izurieta to offer analysis of the events of the day and the perspectives for this primary election process. CNN International will simulcast the domestic network’s coverage beginning at 7 p.m. Happy Holidays from CNN Observations! Just over a month after being removed from the CNN International schedule, The Brief has been reinstated - albeit in a repurposed format. The Brief, now a weekly 30 minute news review and analysis program, airs live every Friday in the timeslot it occupied for over 2 years at 1600 GMT. The program repeats across the weekend. 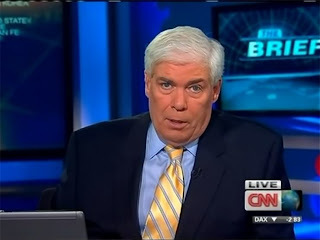 As well as retaining the signature theme and graphics package, Jim Clancy remains as host. On Twitter, Clancy describes the new format as "a work in progress". Mark Preston and Paul Steinhauser have been upped at CNN. The announcement from Sam Feist, CNN senior vice president and Washington bureau chief is below. CNN Note: As we move in to 2012, I am pleased to announce new positions for two of our key leaders of CNN Politics. MARK PRESTON becomes CNN Political Director. In this role, Mark will be CNN’s primary contact with political campaigns at both the state and national level. His work is integral to organizing critical CNN events such as presidential debates and forums. He will help set editorial direction for CNN’s programs during the election season, including primary and election nights. Mark is also one of the great political reporters in Washington and we will continue to lean on Mark’s reporting and analysis both on TV and online throughout the coming campaign. Mark will report to Eric Sherling. PAUL STEINHAUSER becomes CNN Political Editor and supervising producer of the CNN Political Unit. He will be responsible for overseeing CNN’s political newsgathering operations. As the leader of the political beat, Paul will be responsible for assigning and managing CNN’s political coverage team including correspondents, producers, desk editors, polling, research, and the CNN Political Ticker. Paul’s proven leadership and keen political analysis will be invaluable as CNN heads into this historic election year. Paul and the Political Unit will report to Edith Chapin. Anderson Cooper and Kathy Griffin will once again ring in the new year on CNN and CNN International. Details from CNN below. CNN Press Release: Anderson Cooper and Kathy Griffin will again co-host CNN’s celebration of the New Year’s Eve celebration on Saturday, Dec. 31, from 11 p.m. to 12:30 a.m. (ET). The odd-couple will ring in the new year for CNN’s "New Year's Eve Live with Anderson Cooper and Kathy Griffin” live from NYC’s Time Square. "Get ready, America. Pull up a chair and a box of your finest wine, because you've never seen a New Year's Eve show like this,” said Griffin. “By the time I'm done with him, Anderson's hair is going to be even more gray. In fact, the night is going to be so wild, his hair is actually going to turn brown again." CNN correspondents will provide reports from celebrations across the country and around the world. Isha Sesay will join Cooper and Griffin from the crowds in Times Square and Gary Tuchman will report live from Central Park for the annual Midnight Run. Correspondent John Zarrella will be live in Key West, Florida and Brooke Baldwin from Nashville, Tennessee. The show will simulcast on CNN International. After Anderson and Griffin sign off from Times Square at 12:30a.m. (ET) CNN’s Brooke Baldwin and Marty Savidge will take over from Nashville and count down to midnight, central time. Leading up to “New Year’s Eve Live with Anderson Cooper and Kathy Griffin” will be “Best and Worst of 2011,” an Anderson Cooper 360° special, which will air at 8 p.m. and 10 p.m.(ET). The special will count down to the new year by looking back at 2010, anchored by Tom Foreman, who will shine a spotlight on the highs and lows of the past twelve months in politics, pop culture, the economy, entertainment, and much more. A re-air of Piers Morgan Tonight will air at 9 p.m. (ET). CNN has released highlights of its 2011 ratings performance. Details from CNN below. Fueled by program line-up changes throughout CNN’s schedule and the successful leveraging of breaking news stories – CNN had significant double-digit ratings growth across all dayparts in 2011 – while FNC lost viewers and MSNBC had very modest gains. CNN grew an impressive +30% in M-F primetime in 2011 and topped MSNBC in total day this year. In M-F primetime, CNN increased +30% (242k vs. 186k) in the target demo 25-54 and +16% in total viewers (743k vs. 641k) vs. the same time period a year ago. FNC is down -16% (527k vs. 627k) in the demo and lost -10% among total viewers (2.23m vs. 2.47m) and MSNBC had slight gains in 2011, increasing just 2% (255k vs. 251k) in 25-54 and 4% in total viewers (914k vs. 881k). In 2011, CNN topped MSNBC in total day (6a-6a) in both the demo (163k vs. 149k) and in total viewers (485k vs. 437k). Last year MSNBC topped CNN in the total day/demo (142k vs. 134k). CNN also had the most growth in 2011, increasing +22% in the key demo vs. 2010 (163k vs. 134k), FNC was down -9% (277k vs. 304k) and MSNBC increased just 5% (149k vs. 142k). During dayside (9a-5p), CNN had a +71% advantage over MSNBC in the demo (161k vs. 94k) and +55% more total viewers (552k vs. 355k). Since Anderson Cooper 360 moved to 8p in August, the program has shown impressive growth, up +40% in the demo (196k vs. 140k) and +31% in total viewers (623k vs. 476k) vs. same time period a year ago. Last year, MSNBC had an 86% advantage over CNN, now CNN has erased that gap and has a +5% advantage over MSNBC. Rolling up CNN’s 8p programming from the beginning of the year, CNN was the only program to show growth in 2011 -- increasing +27% in the key demo (185k vs. 146k) and +17% in total viewers (599k vs. 511k); while FNC was down -15% in the demo (676k vs. 799k) and lost -7% in total viewers (2.99m vs. 3.23m). MSNBC was also down 8p this year, decreasing -19% in 25-54 (221k vs. 272k) and was down -12% in total viewers (922k vs. 1.05m). AC 360 at 10p topped MSNBC in both the demo (283k vs. 237k) and in total viewers (783k vs. 774k). Last year, MSNBC topped CNN at 10p in the demo. The 10p show delivered solid gains in 2011, increasing +37% among 25-54 (283k vs. 207k) and +18% in total viewers (783k vs. 666k). FNC was down -17% (401k vs. 486k) in the demo and off -12% in total viewers (1.68m vs. 1.91m) and MSNBC was up 12% in the demo (237k vs. 211k) and increased 24% among total viewers (774k vs. 624k). Since launching at 9p on January 17, 2011 Piers Morgan Tonight improved substantially over Larry King a year ago -- increasing +26% in the key demo (222k vs. 176k) and growing +9% in total viewers (735k vs. 672k). FNC declined at 9p, losing -13% of its audience in the demo (521k vs. 597k) and is down -10% in total viewers (2.09m vs. 2.32m). This year, MSNBC is up 12% in the key demo (288k vs. 258k) and grew just 4% in total viewers (1.01m vs. 964k). CNN’s 7p programming this year (roll up of John King, USA and Erin Burnett OutFront) is also up vs. a year ago – increasing 22% in the key demo (174k vs. 143k) and +13% in total viewers (538k vs. 478k). Since Erin Burnett OutFront launched in October the 7p time period has registered gains of +9% among total viewers (502k vs. 460k) and +1% in the demo (142k vs. 141k) compared to the same time period a year ago. The Situation Room with Wolf Blitzer topped MSNBC’s Hardball at 5p (177k vs. 158k) in the target demo this year and has grown +16% (177k vs. 152k) vs. a year ago. CNN’s Sunday morning programming has also seen solid gains in the key demo this year with State of the Union with Candy Crowley (9a) increasing +19% (162k vs. 136k), Fareed Zakaria GPS (10a) growing +24% (154k vs. 124k), and Reliable Sources is up +37% (175k vs. 128k). CNN Presents, home of CNN’s long-form documentary programming (Sunday at 8p) has also seen significant gains this year, increasing +38% in the target demo (174k vs. 126k) vs. the same time period a year ago. Throughout 2011, CNN held a consistently strong advantage over its competitors in cumulative audience. On an average monthly basis for 2011 to date (Jan-November) CNN reached 99.4m viewers, 20% ahead of FNC (82.8m) and 23% in front of MSNBC (80.7m). 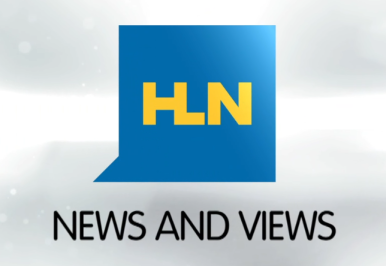 HLN has released highlights of its 2011 ratings performance. Details from HLN below. Fueled by the launch of new programming, coverage of high-profile trials and continued success of established shows, HLN is experiencing a landmark 2011. The "must see, must share" news network is posting its best ever Total Day among total viewers (334k), up +21% vs. 2010*, the greatest year-over-year gain across all cable news networks. In M-Su Prime, HLN is up +12% in P2+ (501k vs. 449k) and +3% in P25-54 (149k vs. 145k) vs. prior year. Morning Express with Robin Meade (6-10 a.m. ET) is topping MSNBC's "Morning Joe" in P25-54 (153k vs. 148k) for the second straight year, ranking #2 among cable morning news shows. Issues with Jane Velez-Mitchell (7-8 p.m. ET) is up +22% in P2+ (508k vs. 416k) and +2% in P25-54 (156k vs. 153k). Nancy Grace (8-9 p.m. ET) had her best telecast ever in both P2+ (2.9M) and P25-54 (1.3M) on 7/5 and is up +8% in P2+ (748k vs. 693k) vs. 2010. Grace's social media platforms also had a banner year, including her Facebook page which currently has more than 830,000 fans, increasing +66% since Jan, and on average, receives 8,000 plus daily likes and comments. @nancygracehln has increased 25x vs. Jan, with 193,000 Twitter follwers. Dr. Drew (9-10 p.m. ET) is delivering a solid 592k P2+ and 172k P25-54 since launching on 4/4, an increase of +20% and +26%, respectively, vs. same time period last year. HLN Special Report w/Vinnie Politan (5-6 p.m. ET) is averaging an impressive 541k P2+ and 156k P25-54 since premiering on 5/2, increasing +176% and +93%, respectively, vs. same time period last year. HLN Weekend Mysteries (Saturday's 7 p.m.-6 a.m.) is up +66% in P2+ and +56% in P25-54 since debuting on 3/5 vs. same time period year-ago . During the quarter hour the Anthony verdict was read on 7/5 (2:15-2:30 p.m. ET), HLN was the most watched network in all of television, delivering 5.2M total viewers and 1.9M P25-54. Anthony closing arguments on Sun, 7/3 ranked as HLN’s best day ever among P2+ in Total Day (2.2M). During the quarter hour the Murray verdict was read on 11/7 (4:15-4:30 p.m. ET), HLN delivered 2.1M P2+ and 762k P25-54, and ranked #1 among all ad-supported cable networks among P25-54 during the entire 4-5 p.m. ET hour. CNN International sport anchor Candy Reid is leaving the network after 11 years. Reid announced her departure via Twitter on Tuesday, writing (in part), "Breaking News: It's my penultimate 'World Sport' show! I'm leaving after 11 great years at CNN...". She went on to tweet that she is moving into freelance work. Prior to joining CNN, Reid played on the professional Women's Tennis Tour for two years. From 1994 to 1997, she represented Great Britain in international tennis events and she completed at the Junior Wimbledon championships in 1994 and 1995. Anchor Anna Coren and meteorologist Guillermo Arduino made note of Reid's departure on World Report, Wednesday. During her final sign-off, Candy Reid listed some of her personal highlights during her time at CNN, the biggest being the chance to interview Roger Federer on several occasions. Tony Maddox, Executive Vice President and Managing Director of CNN International, talks to Sarah Marshall from journalism.co.uk about 2011's big news events and how his network handled them. "I think it's been the most demanding year we can remember", Maddox said. "I think it's been the succession of big stories, of differing types, in different locations and the sequence with which they all unfolded. "We've had a few end of year meetings at CNN and none of us could recall a more intense, more demanding or busier news period than this one in terms of the range of stories, geographical locations and logistical challenges we have been faced with." Looking back on the year Maddox said: "If I'm proud of one thing this year it's the way in which we have gone from one story to the next. We've gone from the uprisings in the Middle East, without missing a beat, to the disaster in Japan. That's the mark of a great news organisation." Without naming other broadcasters he praised them, acknowledging that CNN is not the only news outlet to rise to the challenges of 2011. And with so many major news stories CNN has found "very, very significant growth" in daily, weekly and monthly reach both online and in terms of viewer numbers. You can read the full article with Tony Maddox online here. Christiane Amanpour is returning to CNN International early next year, where she will host a nightly global affairs program. Amanpour left CNN in 2010 to host ABC's This Week. Her return to CNN had been speculated in recent months and weeks with reports first emerging from The New York Post in October this year. It's reported that Amanpour will still remain at ABC News and split her time between the American broadcast network and CNN International. Christiane Amanpour will return to CNN with a nightly news broadcast on CNN International, the network announced Tuesday. Amanpour, who left CNN in 2010 to become host of ABC's "This Week," will remain a global affairs anchor for ABC News as part of a "unique arrangement," CNN Worldwide President Jim Walton said. "Christiane Amanpour has been synonymous with international reporting and with CNN for many years," Walton said. "We could not be happier that through this unique arrangement with ABC News her experience and global perspective are returning to a nightly news broadcast for our international audience." Amanpour said in a statement that she is excited about the opportunity. "This role is groundbreaking, bold and very different! I am thrilled and honored," she said. This afternoon we announced that Christiane Amanpour is returning to CNN to host an evening newscast on CNN International beginning in 2012. In a unique arrangement with ABC News, Christiane will continue to report for their news programs, as well. We could not be happier than to welcome back to the CNN organization the leading international journalist working in television news, who also happens to be our longtime colleague and friend. I wanted to share the news with you as it is breaking. CNN Press Release - December 11, 2011 - In a star-studded ceremony Sunday night at The Shrine Auditorium in Los Angeles, Robin Lim was named the 2011 CNN Hero of the Year. Christy Turlington Burns introduced Lim as one of the Top 10 CNN Heroes while host Anderson Cooper announced her name as the CNN Hero of the Year at the end of the evening. Each of the Top 10 CNN Heroes received $50,000, and Lim’s nonprofit, Bumi Sehat Foundation, will receive an additional $250,000 grant. In Indonesia, women are 300 times more likely to die in childbirth or from pregnancy-related complications than women in developed countries. After Lim’s younger sister died from pregnancy complications, she became a professional midwife and dedicated her life to offering free prenatal and birthing services to low-income Indonesian women. Since 2003, Lim’s“Yayasan Bumi Sehat” (Healthy Mother Earth) clinic has provided medical assistance to thousands of women in Bali and Aceh, Indonesia. Now in its fifth year, CNN Heroes is a multi-platform campaign that shines a spotlight on individuals who go to extraordinary lengths to serve others. This year, the campaign received over 10,000 submissions from more than 100 countries. For more information, including photos and video highlights from the CNN Heroes: An All-Star Tribute, as well as information on all the Top 10 CNN Heroes for 2011, please visit CNNHeroes.com. With just days to go until the live CNN Heroes: An All-Star Tribute, CNN has announced more details on the show, including the celebrity presenters appearing on the night. Details from CNN's press release below. CNN Press Release: CNN, the worldwide leader in news, announced new show details and additions to the line-up for CNN Heroes: An All-Star Tribute. Hosted by Anderson Cooper, the show honors everyday people doing extraordinary things, and will air live from the Shrine Auditorium in Los Angeles, CA, globally on CNN's networks including CNN/U.S., HLN, CNN International and CNN en Español. Additionally Dr. Sanjay Gupta, the multiple Emmy®-award winning chief medical correspondent for CNN, will conduct exclusive backstage interviews streamed live on CNN.com during the show with bonus content available on CNN's mobile apps for iPad, iPhone and Android. Each of the Top 10 CNN Heroes, whose profiles are available to view at www.cnnheroes.com, received a $50,000 grant for being named as this year’s honorees. One of 2011 CNN Heroes will be named the “CNN Hero of the Year” live on the tribute show, as voted by fans across the globe, and will receive an additional $250,000 grant to further aid their charitable work. This news comes on the heels of announcing Dancing with the Stars winner and All My Children actor, J.R. Martinez, The Black Eyed Peas’ will.i.am, global maternal health advocate and founder of Every Mother Counts, Christy Turlington Burns, and NFL Super Bowl champ and MVP quarterback Kurt Warner, as presenters last week. As previously announced, J.R. Martinez, will be co-hosting the live pre-show, Showbiz Tonight @ CNN Heroes, with AJ Hammer, host of HLN's evening show, Showbiz Tonight. Holly Robinson Peete will be hosting the social media suite on the red carpet. Showbiz Tonight’s correspondent, Kareen Wynter, will also be part of the pre-show, interviewing the arriving celebrities on the red carpet.The Showbiz Tonight @ CNN Heroes pre-show will air live on CNN and HLN at 7 PM ET/ 4 PM PT. CNN and GetGlue have teamed up to offer limited edition CNN Heroes: An All-Star Tribute stickers. Through their mobile devices, GetGlue app users can ‘check-in’ to the broadcast to unlock exclusive stickers that can be shared on social platforms like Facebook and Twitter. Fans can also make a direct charitable donation to their favorite Top 10 CNN Heroes’ nonprofit using Google Wallet through December 31, 2011. Google is waving all transaction fees enabling 100 percent of the donations to go directly to the CNN Heroes’ non-profit organizations. Kelly Flynn is the Senior Executive Producer for the “CNN Heroes” initiative and CNN Heroes: An All-Star Tribute. This year’s show will be produced by Ian Stewart and Hamish Hamilton of Done and Dusted. CNN International's Talk Asia missed out on the award for Best Talk Show, but was highly commended by the judging panel. TVNewser has confirmed that CNN Saturday and CNN Sunday anchor and CNN Newsroom fill-in anchor T.J. Holmes and his plan to leave CNN at the end of the year. In a memo to CNN staff members, director of programming Janelle Rodriguez says Holmes "will be leaving the company at the end of the year to pursue other opportunities." Holmes came to CNN from NBC11 in San Francisco after making stops in Little Rock, AR and Joplin, MO. No word on where Holmes is headed or who will land in his weekend morning spot on CNN Domestic. Update: BET confirms signing T.J. Holmes to a deal. Recently, CNN International's Hala Gorani was interviewed by Enigma Magazine for their November issue. In this article, she talks about heading out to a breaking news story, career goals, and the want to start a family. And how does it work at a network like CNN? Who decides that critical point when they say we’re going to call in a senior anchor like you to cover a story? To be quite honest, if I want to go, I don’t wait for them to ask me. I’ve never waited for someone to ask me to do anything. Sometimes it’s ‘yes’, sometimes its ‘no’, sometimes it’s doable, sometimes it’s not. But when it’s a historic story like Egypt, there’s little push back. I’ve been extremely lucky to have the support of my bosses to anchor big stories internationally. Whether it’s the Middle East, Haiti, or the Gulf oil spill, I’ve hardly had to ask. From the moment I send my first email they say, ‘Fine pack up and go’. While I was waiting for a visa to Syria to cover their uprising, it was nice to come to Egypt and cover important developments here following the Revolution. The world hasn’t been paying much attention to Egypt because of what’s happened in Japan and Libya, but I’m very glad I came. What is your ultimate dream for yourself? I’d like a family of my own. I think it’s about time. I hope it happens in the next two years. TV Newser reports of management moves at HLN and CNN International. 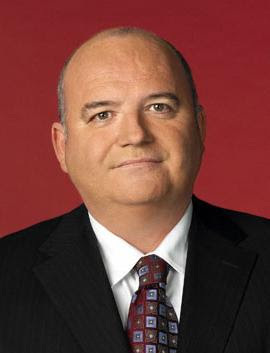 TVNewser has learned that after two years as HLN’s senior vice president, [Bill] Galvin will move to CNN International as SVP of business development and sports programming, responsible for special coverage and sponsored content of CNNI. He will also be in charge of sports coverage across CNN Worldwide. [Katherine] Green will move into the role of SVP and managing editor at HLN. She has served as the SVP of programming at CNNI since 2007. [Mike] McCarthy, currently VP of coverage and feature programming at CNNI, will be promoted to her former post. Click through to TV Newser to read the memos from CNNI boss Tony Maddox and HLN's Scot Safon.